​1 Dec 18 - Source: Frontier Myanmar - Ambitious plans are being made for a pipeline in Yangon that plays a vital role in the communities through which it passes, and not only because it carries water. 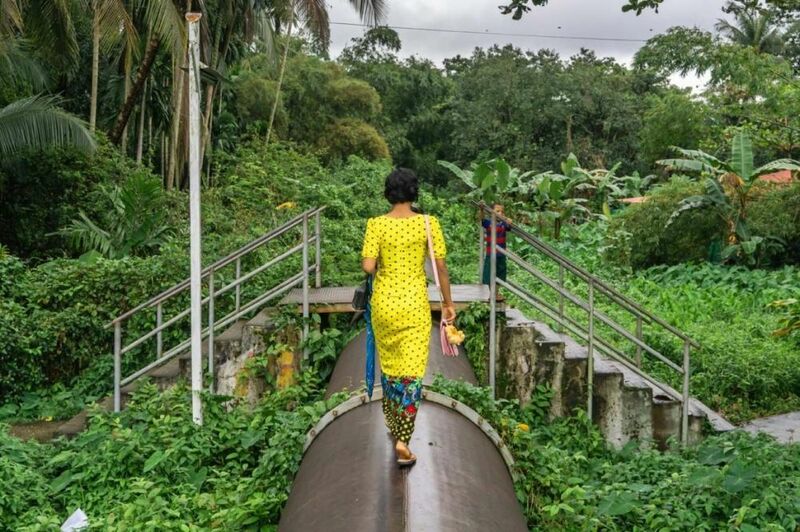 GRASS GROWS under the long metal tube shaded by trees and shrubs as it snakes through a jungle-like area of Yankin Township in Yangon, where green spaces are few and far between. Just a few metres from the water pipeline is a busy street lined with shops and houses, and noisy with traffic. It feels as if the pipeline forms part of a parallel universe. For nearby residents, the pipeline plays as big a role in their daily lives as the streets. They use it as a footpath, doze on it and rest in its shadow. Their children learn to walk on it, kids use it to go school, couples meet for dates by it and workers have their lunch breaks on it. The closer the pipeline gets to downtown Yangon, the busier the scene. On a recent sunny Sunday afternoon, it almost felt like a pedestrian highway: people were using it as if it were a street and not a metal tube with a diameter of 1.6 metres. Ko Ye owns a beer station beside the pipeline on Yankin's Yan Shin Road, not far from the Myanmar Plaza shopping mall. When the beer station was opened in 1999, it was called Shwe Nan San Bar, but patrons preferred to call it "Pike Lone Gyi", which means big pipeline, because of its proximity to the local landmark. Six years ago, the new owner Ko Ye went with local opinion and changed the name to Pike Lone Gyi. It doesn't bother Ko Ye that his beer station is next to the metal structure. "I'm proud that my shop is next to such a historical construction," he told Frontier. Built by the British in 1940, the pipeline delivers water to the commercial capital from Gyobyu Reservoir that is treated before distribution. Ko Ye uses the pipeline every day. "I walk on it to go to the market; it's a short cut that takes only 10 minutes," he said, adding that he wished he could expand his beer station so patrons could sit beneath the trees growing beside the pipeline. He's not alone in this idea. The pipeline has also caught the attention of Mr Raphaël Monnier, a co-owner of Yangon-based architecture and design company Blue Temple. Monnier, who is French, used to live close to the pipeline and walking on it had given him an appreciation of its importance in the daily lives of nearby residents. With a friend, he spoke to neighbourhood residents and asked how they like to spend their leisure time. The answers ranged from playing a guitar with friends, playing board games or simply sitting and chatting in a natural setting – activities which are usually not possible in places such as shopping malls. "We noticed that there are not enough green public spaces in Yangon," Monnier said. After a series of surveys to determine the community's needs, an idea quickly emerged to transform the pipeline route into a green park. Monnier, who was born and raised in China, is working to realise the project with a diverse, multi-skilled team that includes Blue Temple co-founder Mr Calvin Wang, a Myanmar-Taiwanese interior designer who specialises in bamboo furniture; French interactive designer Ms Mathilde Petit-Velasco; and Mr Matias Bercovich, a Spanish photographer. They are all volunteering their time for the non-profit project, which anyone is welcome to join. The group's idea for transforming the pipeline is not to copy famous urban parks such as the High Line in New York or La Coulée Verte in Paris, which were built on disused railways, but to create Yangon's own answer to growing demand for green public spaces. 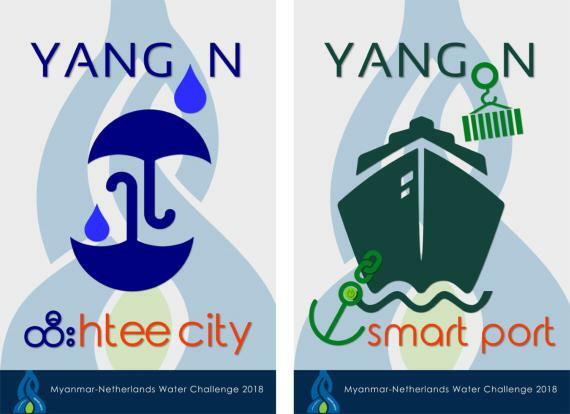 To meet this objective, the group has held workshops with architecture students from Yangon Technological University, Mandalay Technological University, West Yangon Technological University and STI Myanmar University. The workshops have developed designs for a range of installations along the pipeline, such as structures to provide shade or platforms to create play areas for children. "The goal is to make the pipeline more accessible and more liveable, and to empower the community," said Petit-Velasco. The group says it is aiming to create simple, functional, cost-efficient designs for temporary bamboo installations made by Myanmar companies. "It's a new way to see urban development in Yangon," said Monnier, in contrast to glossy shopping malls. The development and design of further installations along the pipeline is open to all, the group said. The project has been joined by two Hong Kong-based architecture companies and some NGOs in Yangon, all on a voluntary basis. "We hope that more local companies will participate," Monnier said. The group needs permission from Yangon City Development Committee for its project and said the municipal body had showed interest in the project in initial discussions. "We are confident that they will support this idea of making the outskirts of Yangon more attractive," said Petit-Velasco. The group is planning further activities aimed at residents living along the pipeline, including a photography project for which 24 cameras will be handed out. Photographer Matias Bercovich plans to eventually arrange a photo exhibition featuring images of the pipeline, before and after its transformation. "We want them to show how they see the pipeline through their eyes," said Bercovich. Among the businesses near the pipeline is a barbershop opened 50 years ago by a man now aged 72. "I don't use the pipeline, but I like it because it is convenient for many people who use it for walking and other things," he told Frontier. Asked if she thought the two-metre high pipeline had divided communities, a 33-year-old mother sitting with her baby in front of her house disagreed. "No, not at all," she told Frontier. "The neighbourhoods on this side are the same as on the other side. The pipeline connects them, for example, with the stairs that go from one side to the other." The stairs have been erected over the pipeline in many areas and were co-financed by YCDC and residents. To realise the green park concept, though, much more funding will be needed. It has already begun flowing, thanks in part to Monnier's networking abilities and knowledge of possible funding sources. The group has been granted US$6,300 in seed funding from Design Trust, a Hong Kong charity, for some initial projects at five locations along the pipeline. "If the first phase is successful, we want to apply for bigger grants," said Monnier. "We hope to upgrade the whole pipeline."